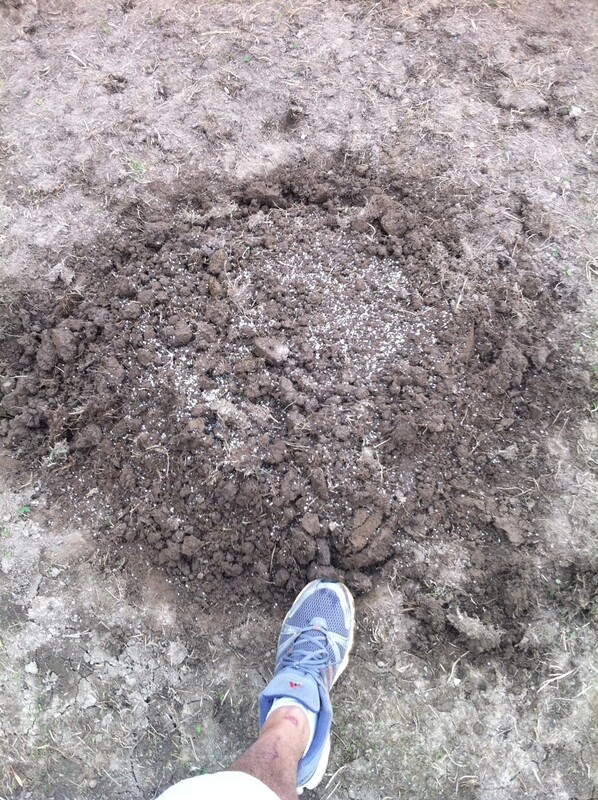 I got up at 5:30 and was able to plant a whole row of pumpkins. 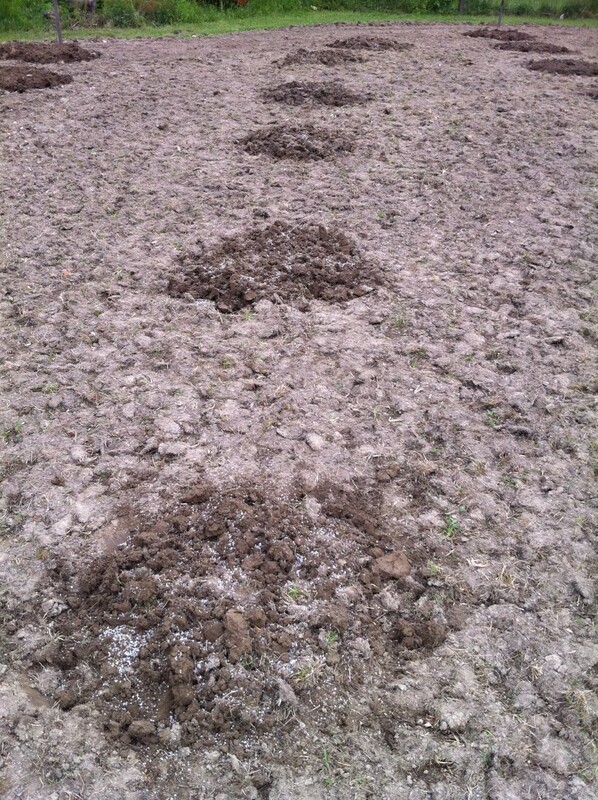 I wanted to get them in the ground before it rained this afternoon. 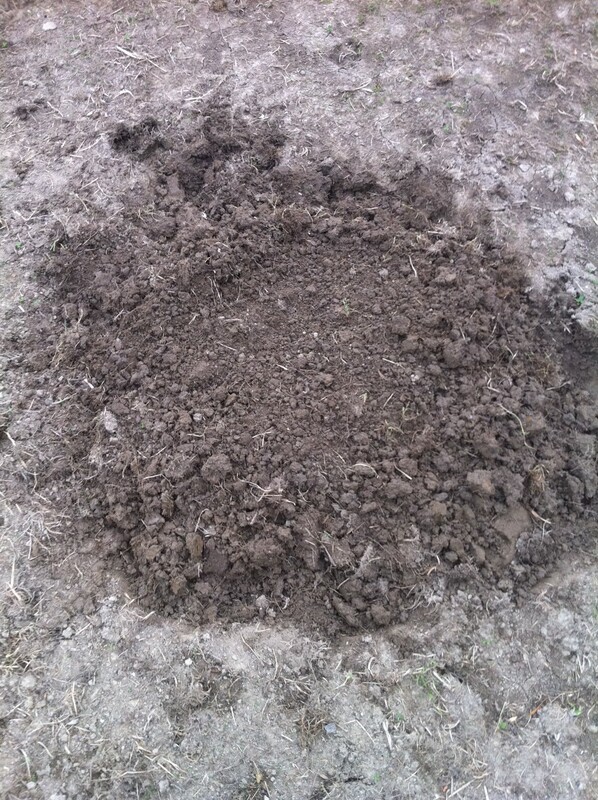 Step 1: Use your shovel and make a mound about 3′ in diameter. 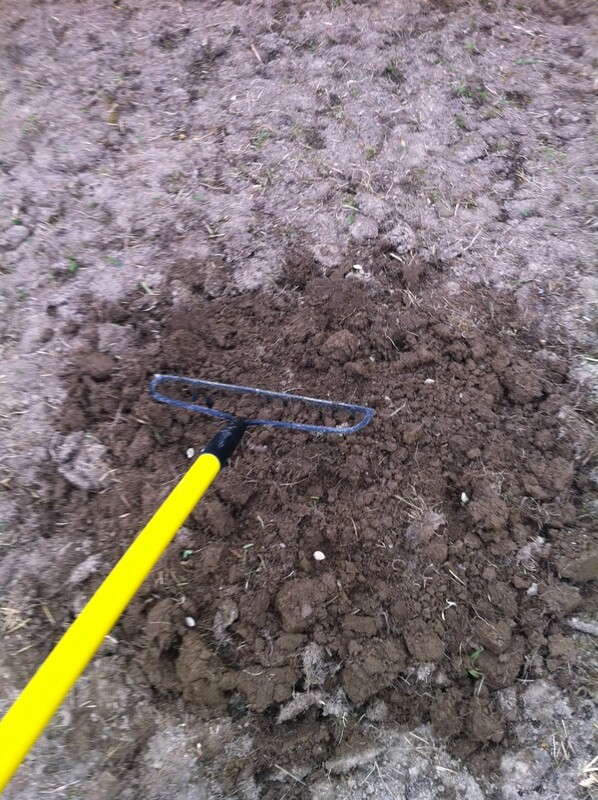 Break it up and smooth it out with your rake. Step 3: place a pumpkin seed in each hole. These are Howden pumpkin seeds, Consistent excellent qualities that take about 105 Days to Maturity. 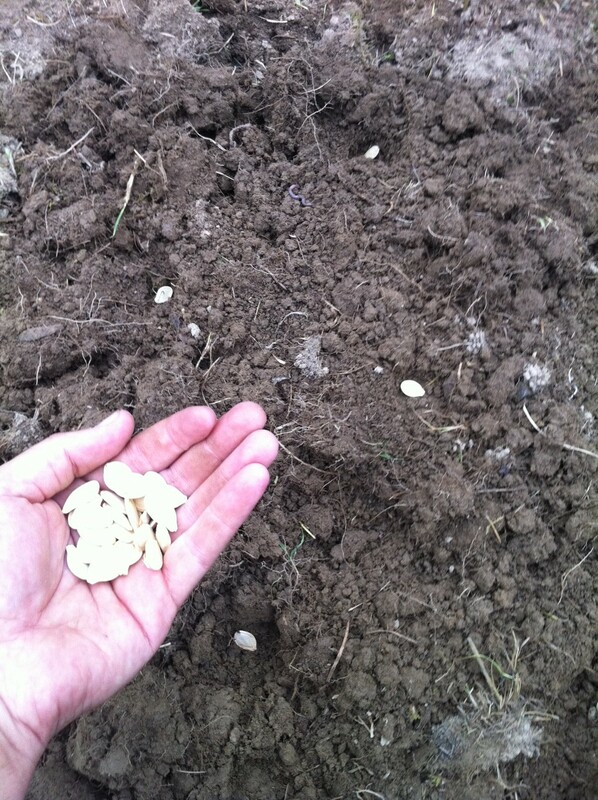 I also planted some Jack Be Little pumpkin seeds Flattened, mini-pumpkins that take 90 Days to Maturity. 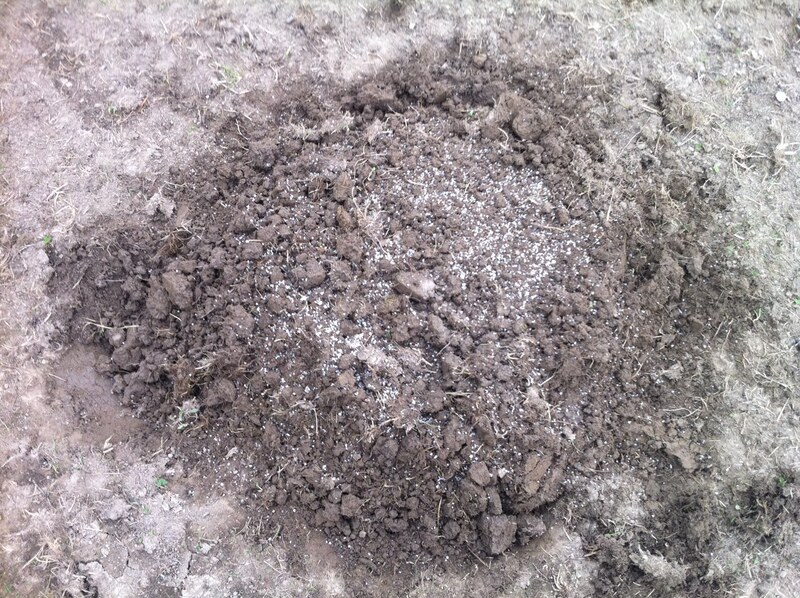 Step 4: Cover the seeds up with earth. Step 5: Pumpkins are considered “heavy feeders” and do well with a little extra nourishment. One nutrient source that works well and is reasonably priced has the dismaying name “fish emulsion”. It is a concentrate of fishy by-products, rich in minerals, that smells a little like low tide. 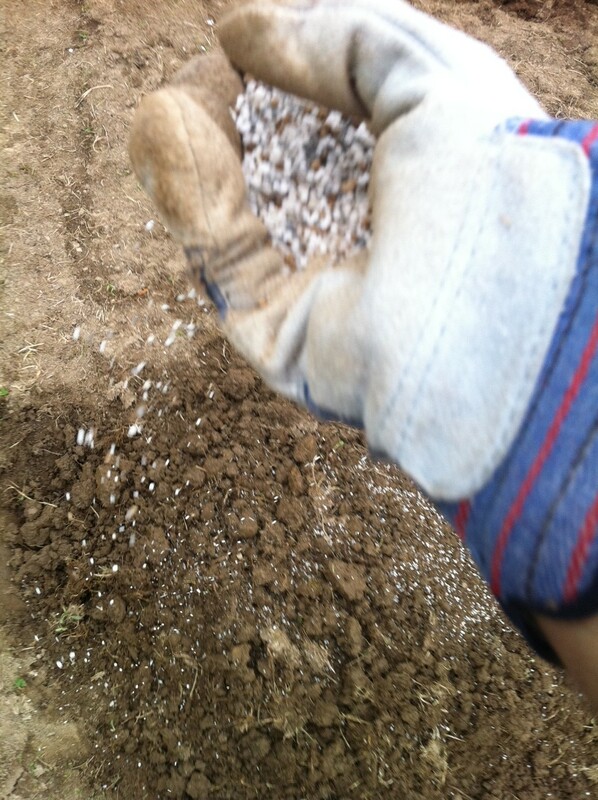 Spread a handful onto the top of the mound. The rain will break it down and push it tnto the roots. 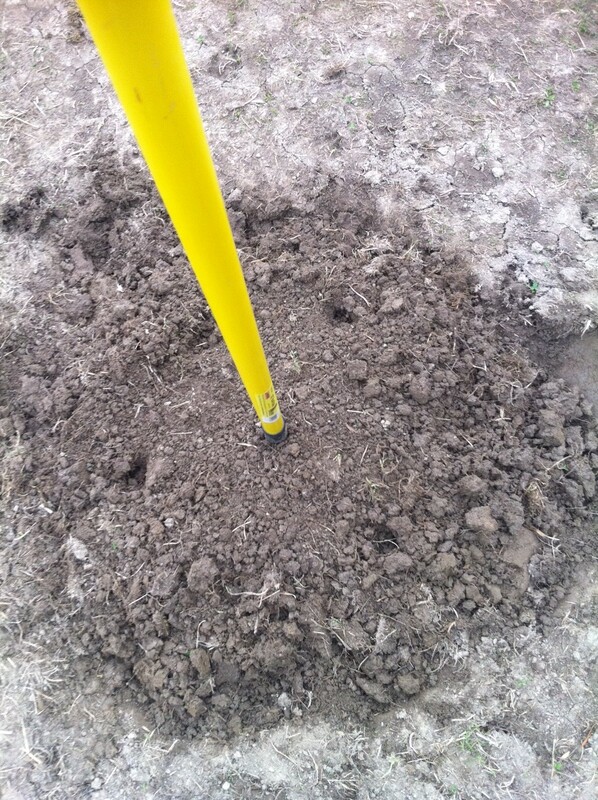 Step 6: Take a picture of your foot to show the size of the mound. That’s a size 10 Addidas. Step 7: Water and wait for the seedlings to pop up. Once they do, you can thin them out keeping the strongest vines. Step 8: Coming soon, you’re going to want to put some more fish emulsion on them and make sure they’re pollinated. My first year of growing pumpkins, I ended up with a great crop. They grew vigorously and had plenty of pumpkins. My second year, these horrible pumpkin beetles appeared. They came back twice as strong the third year. I couldn’t get rid of them without harming the pumpkins. This year I didn’t even plant pumpkins for fear of an even worse infestation. Any advice?